Is Success System Revealed A Scam? The TRUTH Exposed! Is Success System Revealed A Scam Or Legit? The ONLY Review Revealing The TRUTH! Is the Success System Revealed a scam or a portal to legitimate work from home opportunities? I’m always looking for new online income streams and I enjoy weeding out the real income earners from the scammy money takers. I write this review giving my honest opinion only, I’m not affiliated or associated with Success System Revealed in any way. That being said, let’s find out what’s going on with this site. Here’s what I found out. The reason there’s a ‘Be The Boss Network’ logo up there is that when you head on over to the Success System Revealed website you’re immediately redirected to BeTheBossNetwork.com – an MLM directory. The website creators are the only ones making any money here and for that reasons I can not recommend Success System Revealed as a viable work from home option. Is Success System Revealed A Scam? Success System Revealed used to be an MLM company until they closed down. Now go to SuccessSystemRevealed.com and it automatically redirects you to BeTheBossNetwork.com. Be The Boss Network is an multi-level marketing (MLM) company directory giving you information about the countless number of network marketing companies out there. Express your interest in becoming a distributor and someone will contact you to sign you and get you started. Click on any MLM company you’re asked to register an free account to view more details. You’ll need to give them your email, phone number and zip code. As well as MLM companies, you’ll also see paid survey sites being recommended across the bottom of their homepage. Is Survey Junkey a scam or not? It’s pretty simple really. If you’re looking to join a direct selling type business then Success System Revealed (or should I say Be The Boss Network) is a good site to get a breakdown of what the different companies offer in terms of products, commissions and business opportunity. The owner of Success System Revealed and their partner sites will get paid a commission every time you sign up to any company through their site. It’s basically a site designed to collect your contact details so they can follow up with various work from home programs. So be prepared, if you do give them your information you could be hit with a lot of calls and emails. The people Success System Revealed will make money selling your information to third party companies. Something to think about before registering! Another way the website owners make money off of you is when you click on any of the survey site links at the bottom of the homepage. So yeah, really Success System Revealed is a real income generator for the site owners, but what about you? How can you make money? Let’s first deal with the survey sites because that’s a lot easier and then we can talk about MLMs in general. When people first start looking for ways to earn a bit of extra cash online they almost always go to survey sites like Swagbucks or Survey Squad because they think it’ll be an easy way to click around a few times and make a few dollars while they’re watching TV. In truth, it’s very time-consuming and mentally intensive as they ask you about every detail of your life like how much you pay for home insurance or on grocery shopping each week. Not to mention you’re giving away your personal information. In the end, it’s very rare for survey takers to earn more than $0.50-$0.75 so it’s really not worth your time. Be The Boss Network is the biggest MLM directory I’ve ever seen, they’ve got pretty much every MLM out there on their site. But is network a good way to go to start your own business? Personally I don’t think so. Can you make money as a network marketer? Yes you can but I wouldn’t recommend it unless you enjoy face to face selling and recruitment. It’s most definitely not as easy the person trying to recruit you is telling you. “The loss rate for all these MLMs ranged from 99.05% to 99.99%, with an average of 99.71% of participants losing money in an MLM. The truth is making money as a network marketer is extremely difficult and very few ever make a success of it. MLM companies vary widely on how much they charge for a starter pack and application fees. You could be paying out anywhere between $25 to $500 before you even start. Almost all have a minimum sales quota you’ll need to meet to qualify for a commission payout too giving you yet another hurdle to jump over before you start earning money. My guess is 90% of all MLMs are based around the healthy drink industry. But whether it’s Avon or Amway you’re only able to make money selling the limited amount of products they have available in their catalogue. And because they have to have enough margin to pay distributors a commission almost always these products are way overpriced, costing considerably more than what you’d pay at your local supermarket. The vast majority of people go ‘all in’ and buy a lot of product when they’re starting out with dreams of huge commission checks only to find the products just don’t sell so they sit in the storage room going nowhere. “Eventually, after months of battling to try & get orders from my locality, I decided to quit. I tried selling my stock at a discounted rate to other sellers, including my manager, but all said they didn’t need it. Check sites like eBay for example, you’ll see people trying to flog their old MLM stock at a discount resorting to desperate measures to at least scrape some of their money back. In 2017, Herbalife was ordered to pay $200 million and restructure it’s commission structure by the Federal Trade Commission because they were deemed to be operating as a pyramid scheme. There’s a very fine line between an legitimate network marketing company and a network marketing compnay disgusing itself as a pyramid scheme, namely when the focus of making money shifts from selling products to recruiting into your downline. The reality is most of these MLM companies make money from new recruits buying the starter packs and purchasing the minimum required product just to be eligible for commissions. Most MLMs I’ve reviewed have incredibly complex commission structures with different criteria for each level within the scheme, minimum required orders and number of people in your downline. The worst kind of commission structure is the binary leg structure where you have two legs, often known as a ‘power leg’ and weaker leg because you have to always balance both legs making it harder to qualify for payment. I’m not saying you can’t make money with network marketing but please understand it is extremely difficult for some of the reasons I’ve just outlined. To have any chance of making any money at all you’re going to have to get yourself out there and be aggressive. If you’re a natural salesperson and have the necessary people skills then you could do very well. If you’re an introvert like me, then this is definitely not the business for you. It’s hard to say Success System Revealed is a scam because all they do is redirect you to the Be The Boss Network MLM directory. Be The Boss Network is a free to join MLM business matching service for opportunity seekers but you do need to be aware that they are going to sell your personal information. Some MLMs are better than others – it all comes down to the quality and price of the products and how they organise their commission structure so it’s well worth doing your research. The problem I have with network marketing in general is the high failure rates, with only 1-3% of the people at the top ever making a profit. Though I’ve tried (and failed) with one of the biggest MLM’s in the past, I would never even consider getting involved with one now. Honestly I think it’s a really old and inefficient way of doing business. People don’t buy from catalogues anymore, they just go online which is why I now make $7,000 a month with affiliate marketing and I’ve never looked back. If network marketing is the 20th century way of doing business then affiliate marketing is definitely the 21st century way. As you can see, you make all your sales through your website so there’s no need for any direct selling. Yes it takes time and effort to get your first successful affiliate website up and running but the earning potential is far greater. Firstly, you can make money promoting absolutely anything you can think of. You’re not limited to a tiny and expensive product range. Also, you don’t have to buy products or pay a joining fee before you can start selling and earning commissions. Fourthly, with affiliate marketing you put the work in once and get paid for your time again and again. I still make about $400 a month through a post I wrote 3 years ago and haven’t touched since. The best part is you can take the exact step-by-step training I did and start earning money from home without ever needing to open up your wallet. Yes the beginner’s training course is 100% free. If you think this is the type of business that could work well for you then click that button below and I’ll tell you how you can get started! 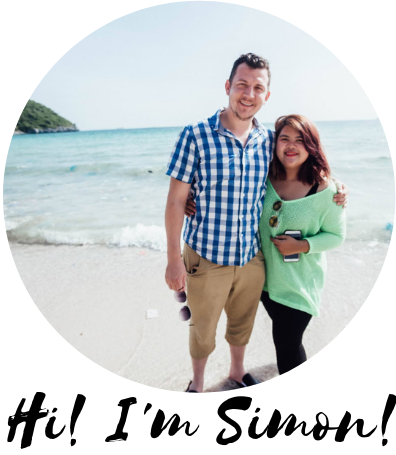 This is true Simon, Affiliate Marketing has come to set people free from the shackles of poverty and 9-5 slavery. The advocates of MLMs at first played on the intelligence of many, cajoling them to take up the business that it will give them the needed financial freedom and all expenses paid trips abroad. Why would a company collect my personal details considered as my privacy and sell to unknown third party? This definitely makes Success System Revealed a no go area. They only fleece you off your hard earned money by paying for a starter pack and makes you sweat by going about convincing people to buy some products that are of low quality. Look at all the statistics and you’ll see the opportunity presented in afffilate marketing is growing by the day. It’s set to be a $6.8 billion industry by 2020 with 81% of brands now having an affiliate program. Its clear that companies that don’t adjust to the online world and the new way we shop (like Toys “R” Us) are rapidly disappearing from the high street. Thank you for this review that exposes everything about Success System Revealed. It’s another site I’ll avoid in the future.Everything that emphasizes on recruitment, high upfront fees, and limited product range in order to make money are out of my own standard for a legit company or a platform. Let them grow their own business by themselves because it only means for themselves first. Thanks for your input! As I say there are some people making money through the MLM companies they list, though it’s a very tiny percentage. You’re more than welcome Cathy! Most people don’t read the small print, that’s what I’m here for 🙂 People just think it’s free to register to let their guard down, completely unaware for the avalanch of spam and nuisance sales calls that follow. I agree, the redirection thing is odd. Reading old Success System Revealed reviews and you can see they periodically change that site to send people to. This tells me right away that the guys behind this are far more interested in lining their own pockets than helping people achieve success online.